Hard Drive Recovery Associates: Is Your Data Safe? 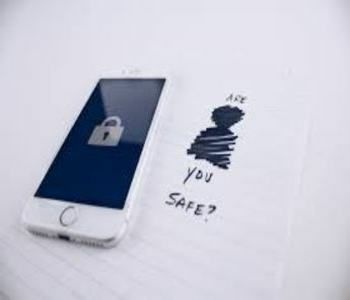 With the amount of time you spend on your device and browsing the web and the countless data you have shared both online and offline, you can never really be sure anymore if your data is still safe wherever it may be. Every time you visit a site, you leave a digital footprint and this trace accumulates over time with your daily activities on the web. These companies, and even browsing giants like Google, take notice of your browsing habits and save the pertinent information you share on the web for whatever use they may see fit in the future. It usually is done for a profit and is often sold to third-parties who are studying consumer groups and habits so they can better market their products and services directly to their target markets. However, there are plenty of dangers of the web. There are criminals lurking in all corners of the Internet waiting for a chance to strike on unknowing victims and steal their data. Many of these online crooks spread malware and other web-based bugs that either steal your data, hold your data/device hostage, steal your computing power, or simply infect your device with viruses that would soon render it useless. Even with company mergers, data security is a major issue too that we should be wary of somehow especially if the business in question is a major online fixture like Yahoo, for instance. Data privacy, cybersecurity, and data breach risks are important due diligence issues in mergers and acquisitions. Post-acquisition discovery of security problems, and even notifiable breaches, is a far too common scenario. According to one report, more than a third (40%) of acquiring companies engaged in a merger and acquisition transaction said they discovered a cybersecurity problem during the post-acquisition integration of the acquired company. The most highly publicized example of an M&A-related cybersecurity problem was Verizon’s discovery of a prior data breach at Yahoo! after having executed an acquisition agreement to acquire the company. Data shared to companies will be divulged and left out in the open during the initial and more vulnerable stages of the acquisition when the business hierarchy is in disarray and anybody with inside knowledge can take advantage of this momentary chaos to steal data of the users for monetary gain. If not an inside job, it can also be done by outsiders like hackers who are knowledgeable about such takeovers and will try various attempts to steal data of the consumers, among others. The research - which surveyed 1,000 people in the UK - found that although a large proportion of brands focus on diversity and climate change as part of their marketing strategy, such issues aren’t at the forefront of consumers minds, with data security and data privacy topping the list of issues that consumers cite as highly important. Data security would certainly not have topped the list five years ago, but given the spate of high profile data breaches - from TalkTalk and Tesco to the Facebook/Cambridge Analytica scandal - that the issue is now the prevailing issue of concern among consumers might not be a surprise. Although consumers are putting increasing strain on businesses to act on important issues of the day, research shows there is an innate distrust of business motives. The general public is aware of these problems and it worries them as well knowing that their most private data are accessible to outsiders and can have an imminent threat to their lives. You may face such a problem with online banking. People can easily steal your funds without you knowing if they can tap into the bank’s system and use your personal data that were stolen from somewhere. Many consumers are now proactive in demanding the security of their data from businesses they deal with rather than suffer from stressful and costly data breaches later on that could’ve been prevented early on. For example, Apple products are generally regarded as fool-proof and safe from hackers but over time we have seen that it is just as vulnerable as most Windows PCs sold in today’s market. Hence, you’d likely experience dealing with problems like https://www.harddrivefailurerecovery.net/mac-data-recovery/ and https://www.harddrivefailurerecovery.net/do-your-data-recovery-for-mac-a-nice-tool/. With the help of experts, data recovery can still be a success and spare you from the many problems brought about by data loss and data breaches.